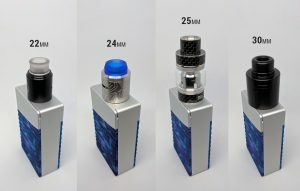 Geekvape Nova Review: If Apple designed mods! I’ve been using the Geekvape Nova regularly for a few weeks now. 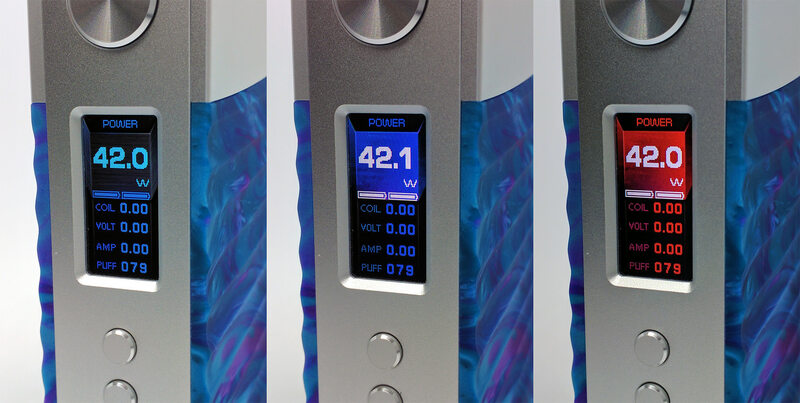 It’s a dual 18650 regulated mod that goes up to 200 watts. It comes in silver, gunmetal and black frame in combination with blue, gray, red or rainbow colored resin. Geekvape sent me the silver frame with blue resin to review. 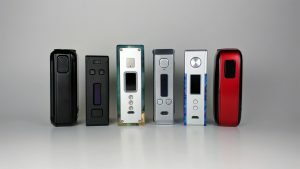 The mod has the same chip/display as the Aegis Legend 200. It’s got a color screen and you can choose from 3 different color schemes. It is a very lightweight mod, weighing at just 117 grams without batteries. 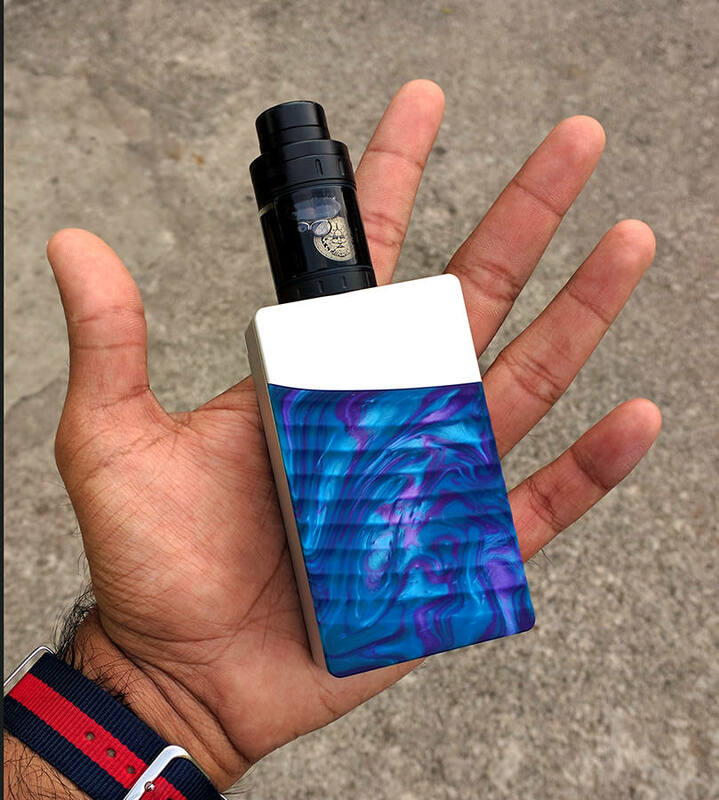 It’s a beauty if you like a boxy mod like I do. 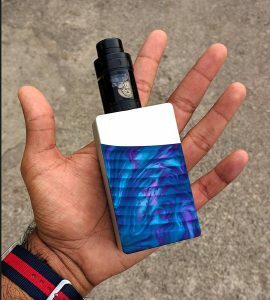 It reminds me of the old IPV and Hana mods. It’s not the most comfortable mod to hold, but I find it easy to overlook since I like the shape so much. The matte finish on the metal looks really good with the matte resin. I’m glad to see Geekvape coming up with their own resin pattern instead of copying VooPoo. The resin part is ribbed that gives the pattern an additional depth. It also makes it easier to grip the mod. As with most resins it looks better in photos than in real life. It still looks pretty amazing in person, there’s a good amount of contrast and shine. Overall the mod has a classic, streamlined design. It’s a minimalist, functional design and I really dig that! As soon as you take off the battery door you see a beautiful piece of brushed metal sheet covering up the chip and the wiring. That looks really great with the white, plastic battery sled. The Pogo pins for battery contacts are fantastic. They have a good amount of tension. They’re so much better than the keystone battery contacts in many mods, like the Aleader Funky 160W. I was able to fit batteries with pretty thick wraps with no problem. These should be the norm for side loading battery sleds. The battery door fits snug. The magnets are strong but not too strong. You pry the door off from the top right corner of the mod. There’s the slightest bit of play to the door but it’s not very noticeable. The big fire button has a pattern like stereo dials. It looks terrific and goes really well with the rest of the mod. I wish it was a bit softer to press, but by no means is it as hard as say the Alpha 1 button. The adjustment buttons offer very satisfying clicks as well. The screen and USB cutouts are very clean. 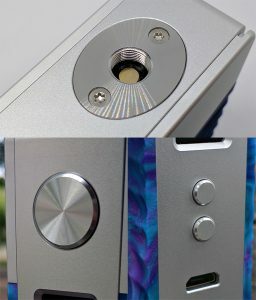 Every part of the mod is beautifully machined and finished. The screen color screen is small but functional. It’s the same layout as their older chip, just in color. The UI/UX uses a few non-standard shortcuts like holding fire + up/down to adjust brightness. Quite handy as you don’t have to navigate through multiple menu screens. Power mode is solid. It doesn’t feel weaker or stronger than the average mod. 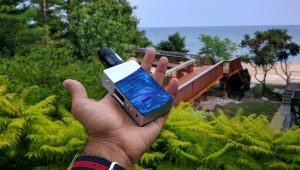 While it doesn’t fire as quick as a Charon Mini, it’s not slow either. There’s nothing to write home in this regard. Smooth power delivery, very much like the best of them out there. On occasion the mod did not fire when I pressed the fire button to vape. Not sure if the click didn’t register, or if it did and the chip just didn’t fire. Power curve works well. Exactly as you’d expect. Temp control is pretty good, but not great. Dry hit protection works well with SS316L at 440F. 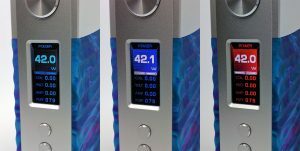 Occasionally It throttles hard during a puff, something I didn’t really experience with the Gbox. It’s usually fixed the next puff. 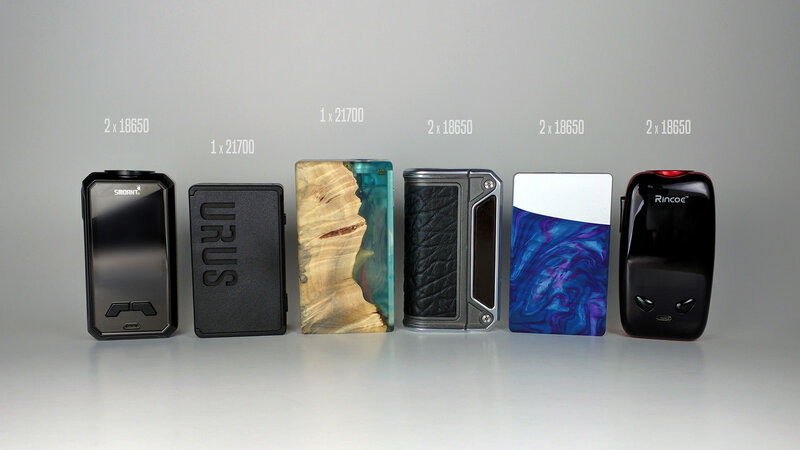 It’s very much usable, but not near perfect like the Charon Mini or a DNA. 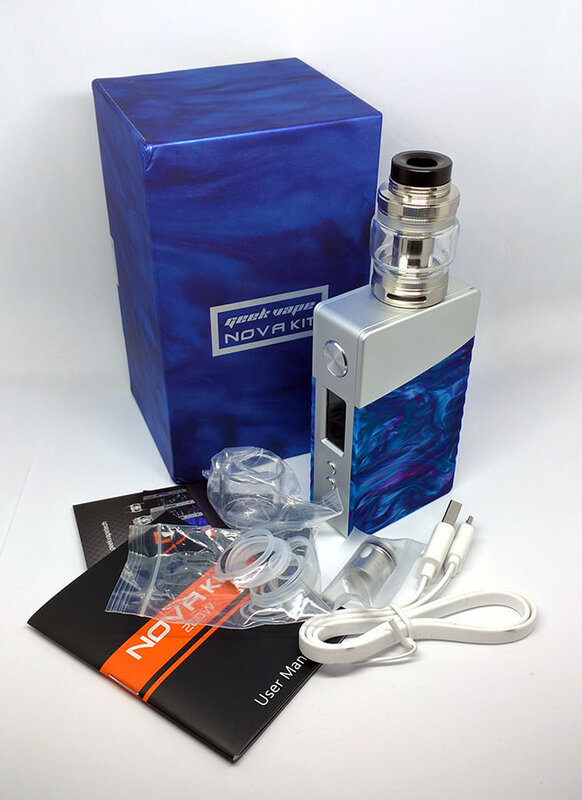 The Nova cuts off the batteries at 3.15v. I haven’t had more than a 0.02v variation in voltage between the two batteries the entire time I used it. 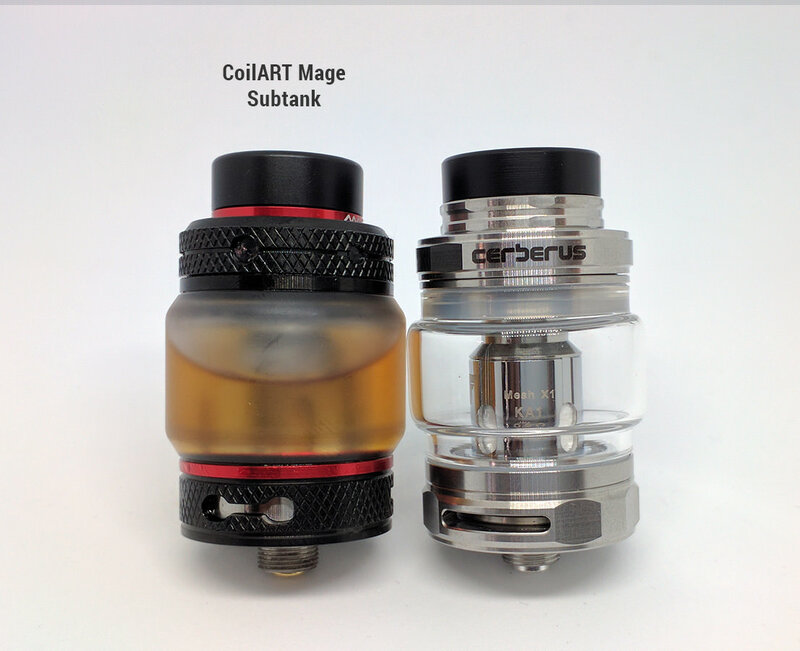 It’s your run of the mill subtank, with mesh coils. Very similar to the Mage Subtank, I couldn’t tell the difference. If you’ve tried any of the tanks that take baby beast coils, you know exactly how this one vapes. It’s designed very well though. 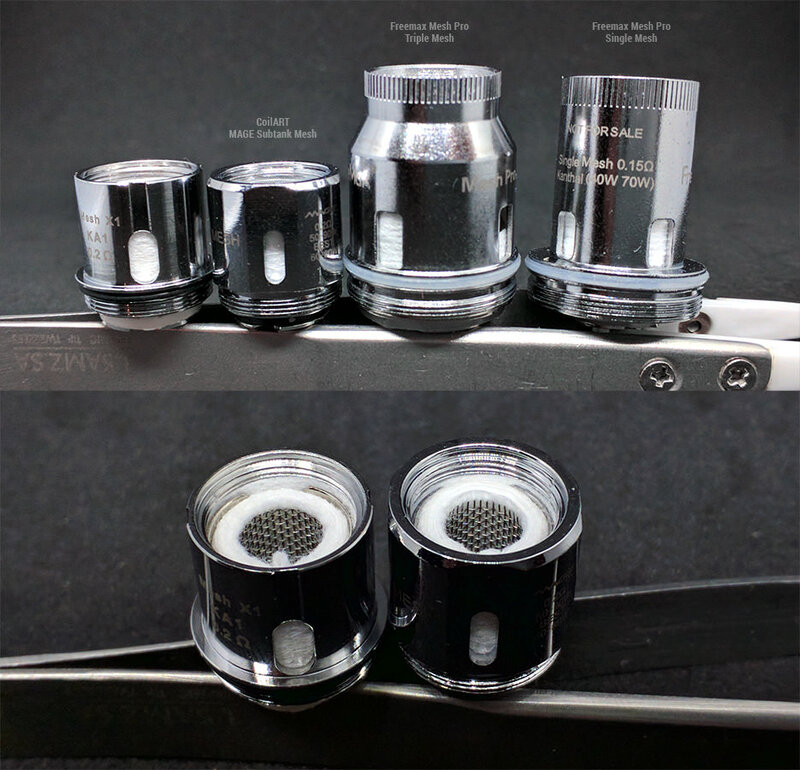 The fill cap opens with a quarter turn. The fill holes are big enough to fit any tip. The design reminds me of RTAs more than subtanks, especially the Blitzen RTA. 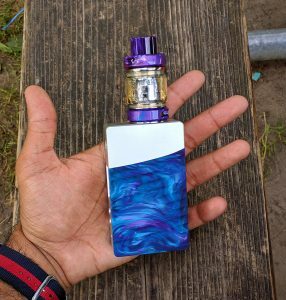 I wish the metal on the tank had a matte finish as well to match the mod. 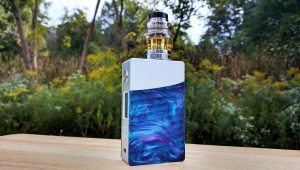 The Zeus has that finish, not sure why it didn’t make it to the subtank. This thing is gorgeous, if you like the boxy sort of design. From the metal to the resin, from the outside to the inside, it’s just beautiful. All the different textures and patterns come together in harmony. At just 117 grams it’s easily be one of the lightest dual 18650 mods my collection. It barely weighs more than an ABS/nylon mod. I’ve had single battery mods weigh more than this. This mod has spring-loaded pogo pins that won’t tear your battery wraps. This is a huge plus for me as I charge externally. While the power mode and the power curve mode are excellent, the TC performance leaves a little to be desired. It’s not consistent enough to compete with the best of them but it’s good enough to be used. The door has the slightest bit of play, but no rattle. It doesn’t move around a lot but it’s there. You can only remove the battery door, and not the one on the other side even they look identical. I think it was a missed opportunity for having swappable doors. If Apple made a mod it would look very much like this. It’s made up of a beautiful combination of many different materials, textures and patterns. It’s beautiful and functional on the outside and inside. It’s light, not terribly large and performs very well in power mode. On the other hand it’s not the most comfortable mod to grip by a long shot. Temp control could have been better. But these issues aren’t really deal breakers considering how amazing the mod looks. 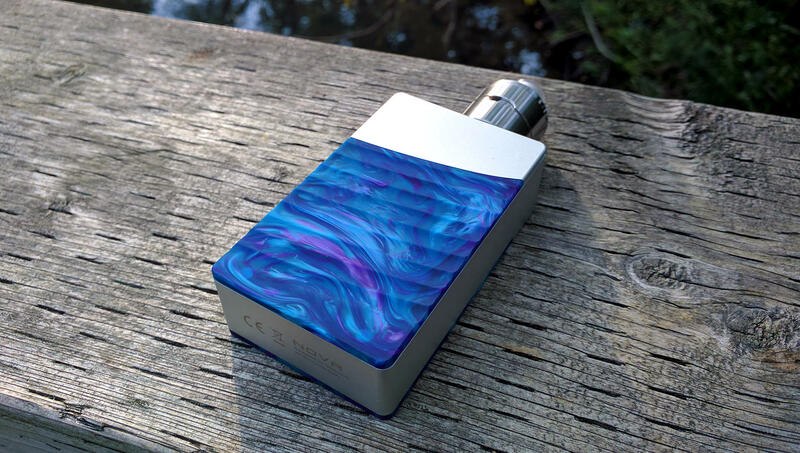 I’ve tried a lot of mods this year and this one certainly made quite an impression. If you dig the design you won’t regret buying it. I’m on Instagram now as well. I post daily photos of my stuff and gear that are in the review queue. I’d appreciate it if you guys checked it out! Included coils: 2 mesh coils. 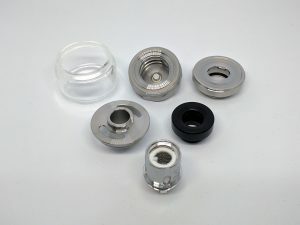 You can find it on Heaven Gifts, Health Cabin, Sourcemore, Buybest or Fasttech among other places. I deal with all four of those companies regularly and I have nothing but great things to say about their customer service.